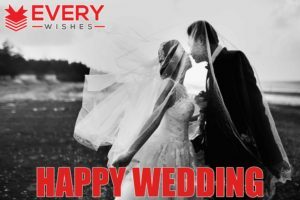 Want to send Wedding Wishes, looking inside all of the birthday cards to find the right one, prefer to send an e-Card to your friend on his or her special day, or even like making your own, there are many different ways you can make a message that is just the right to wish well for your friend. Here are some ideas to get you started. Hearty congratulations on your wedding!Two stars of yours create an amazing constellation! Wishing you all the good things that togetherness brings into life.May your marriage be filled with delight and happy moments! Congratulations on your special day! From now on you will never be alone, cause your spouse will be always near you both in good and in bad times. May God bless you with endless love! Wishing that your love for each other keeps growing with every passing day!May you remain this happy all your life! The most heartfelt wishes on your special day, my dear,May you always stay happy together! Wishing all the best for you two today and always,Wishing you a happy married life, my dear! May your married life bring you the most beautiful memories,May support and understanding stay with you forever! Congratulations, may you have a healthy family and a bunch of beautiful kids! Today you start this new journey in your life,Let it be fantastic, crazy, wonderful, unbelievable and unforgettable! Dear newly married couple, the most important and spectacular phase in your life has already started. You’ve decided to start a family. May all your plans and hopes on it become true! Congratulations on your wedding! Being a member of a family is a great pleasure, but also a big responsibility. But I believe that you’ll cope with your new duties perfectly. Enjoy family harmony in full. Congratulations! Love is the greatest power: it’s able to take people up to the skies, but it’s also able to break them. And I wish with all my heart that you would have only ups in your life. Congratulations on your wedding, my beloved newlyweds! They say that a good beginning makes a good ending and today is going to be a very exciting day – the beginning of your family life. And I believe that your love story is going to have a happy end. Or no end at all. Congratulations! Dear groom, look at your amazing bride – she is just lighting up with joy. Now, sweet bride, look at your handsome groom – he can’t even express his feelings. Try to keep your faces that happy forever. Congratulations on your wedding! Three simple words “I love you” will never be enough. Never stop showing your love to each other. Never stop loving each other. Congratulations on getting married! Marriage is incredible. It’s able to make people experience things they thought they would never experience and learn things they thought they would never know. Congratulations on your wedding and lots of love! People say that real love must go through many tests. And I wish you from all my heart to stand these tests and keep the love until the end. Congratulations on your wedding, my beloved bride and groom! Family is some kind of a magic place, where one can get love, care, tenderness, and understanding. A family is intended to heal us, not hurt. That’s why I wish you two to give each other only positive emotions. Congratulations on your wedding! Dear newlyweds, there are only a few truly meaningful events in people’s life and a wedding is one of them. So I wish you to keep this beautiful day in your memories forever. Congratulations and good luck in family life! Congratulations on this special occasion! I’m sure you receive a lot of all kind of wishes or advice. Still, I want to wish you both to have the most amazing years to come in harmony and filled with joy and happiness. Today is a beginning of your new life as husband and wife and I wish that this life is full of happiness and joy, and may it never end! May your love be strong and bright,May your life be filled with light,May all your dreams come true,Wishing all the best things in life for you two! Today two souls of yours have turned into one,Wishing you joy and lots of fun!Hearty congratulations on your big day! You have a bright future ahead of you two, make sure you have a good one, because you need adventure, laughter, joy and happiness in your life, but don’t forget all your downs, you will be fine, just promise you won’t leave each other, good luck! Congratulations on your wedding, dear friends!Today a new life for you will begin,Wishing that no matter what, together you always win! The warmest congratulations to the newly weds! Wishing that you two have an amazing life ahead! There is nothing more inspiring in this world than to watch two people find love in each other. We are all so happy for you. Thank you for sharing this special day with us. Heartfelt congratulations on your marriage. May your bond last forever, and should it ever change, may it change to a firmer and better one. Wishing you many more days as happy as this one, many more occasions for celebration, and a lifetime of love and laughter. Blessings to the happy couple! May your commitment deepen, your joy increase, and your love grows stronger from this day forward. This momentous occasion marks the start of your life together. May the journey be a happy one filled with peace and harmony, joy and laughter, and romance and passion. May your enduring love be the crown jewel that ties together all the rest. Best wishes!! As we witness two hearts unite as one, we pray your unity will always remain strong by letting the chords of love that bind you to strengthen over time. Many warm wishes on your wedding. As the years pass and memories fade, hold fast to your sweet remembrances of this day. This will be your happy place. Congratulations on your wedding day. Everything I know about relationships I learned from the two of you. Your fairy tale romance with a fairy tale ending is truly inspiring. It would be so wonderful if all of us had your good fortune, but in the meantime, thanks for letting me be a part of your story. May each day be more beautiful than the one before it. May your love for each other grow stronger as you get older. May you find yourselves still holding hands and basking in each other’s love when all that is youthful and impermanent have faded away. Congratulations on taking this leap of faith. All the world loves a great love story. It gives us hope and fills our hearts with joy. Here’s to a lifetime filled with joyful moments. Best wishes on your wedding. May love fill your days. May there always be enough happiness to survive the pain. May you always find comfort in each other’s embrace. May this day be forever etched in your hearts as a symbol of your love and commitment. Best wishes to both of you on your special day! May the future be bright, and filled with all of the blessings and joys of life. You two deserve it! You have set the bar really high for a relationship of equals. May your married union continue to be rock steady, fulfilling and inspiring for both of you. Cheers on your wedding day. Congratulations on your wedding! What an honor to be part of your special day and witness the blooming love between two dear friends transcend into a lifetime commitment. May your love only deepen and your joy only grows with each passing year. My dear friends, best wishes on your wedding!You two were truly made for each other,And for the rest of the world now you should not bother! Create a small amazing world of your own,Where the seeds of love, support, and care are shown.Congratulations on your big day! Wedding of your is coming soon,Wishing you a sweet honeymoon,As well as a lovely wedding noon,Be happy, we love you two! I wish for you two an amazing journey in your new road of life as husband and wife! Congratulations! Today is your wedding,Now you’re husband and wife,So love, support and cherishEach other all your life! On this special occasion, I want to wish you both a wonderful journey, you will fight, you will learn, you have many things to fight for, and many things to learn from, you just have to wait for them, good luck! May joy, love and happiness be yours forever,Cause you, my dear friends, make a wonderful pair! I wish you lots of luck, patience, and laughter, but most of all trust, because without trust, there can be no love! good luck! Your connection is so strong,It gives you shelter from the storm,May you always have your loveTo keep each other happy and warm! I can’t think of two people who are more deserving of true love, happiness, and a lifetime of both. Congrats to some of my dearest friends — happy wedding day! You’re so beautiful today, my dear friend. You’re so happy and inspired that I can’t even help admiring you. May you stay this beautiful and happy forever! I congratulate you on your wedding! You are going to write the next chapters of your life stories together and I cannot wait to read it. Happy wedding day to you both! Wishing you a glorious ceremony with an abundance of wonderful memories to follow! My congratulations to you both for finding your life partners on this happy day. You are the most perfect match for each other. Let us pray for your happy future. Life is such awesome when you are with Someone you really love in life, I know that you are in bliss right now I know no one is happy than you are I wish you all the happiness in life. May your marriage shine like a star and set an example for others in life, Happy wedding, stay in bliss, Congrats to both of you! Best wishes on the new starting of life – Have a very happy married life and wish you always love each other. Lies, distortions, indifference and cheating – may all this horrible words stay out of your home! Family is a great thing and I wish you to enjoy being a member of it every minute of your life. Best wishes for happy married life, I wish you live life so happily with your partner and also wishing your rest of the life be like this day, Wedding Wishes. Finally, you have found the best art of your next half, hearty congratulations for your wedding and I wish you live life happily together. Today is a special day for all of us, because your happiness means a lot to us. 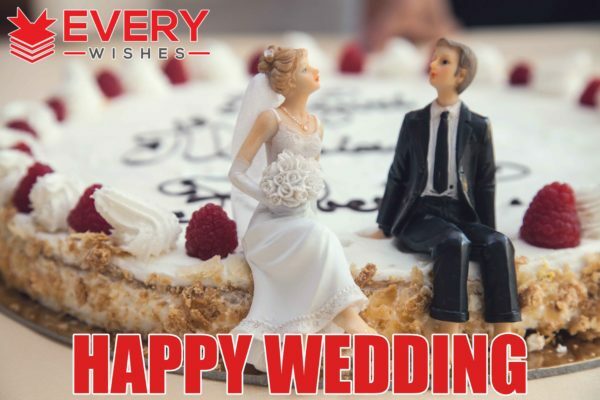 Wish you and your sweetheart to have the most amazing years of your life together and prove that true love exists,Wedding Wishes. May your family life be an exciting and interesting journey full of adventures and real love! Lots of excitement and lots of fun Happiness will be on your side Respect is an important part of love Compatibility will be an important part This is a bond so special my dear It starts and ends with the heart, Congrats on your wedding day! I must admit that you and your sweetheart are the happiest couple I’ve ever seen. I wish you two never stop bringing joy to everyone around you through this incredible harmony and peace you live in. Congratulations! Congratulations on your wedding and may your life together be a continuous honeymoon,Wedding Wishes. May the love that you share Bring you lots of joy,Your connection is so firm That no one could destroy! This occasion comes once in a lifetime, cherish it, never leave each other’s side, and good luck on your new adventure! Congratulations! May your wonderful love story have no end, Happy wedding day, my dear friend! Congrats on your marriage. Just remember, happiness is a very over-rated feeling according to this author. 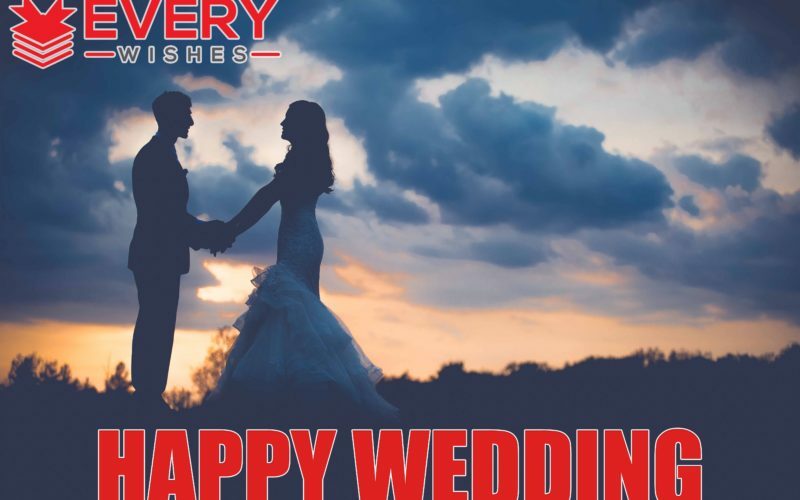 If the right words are difficult to come by, here are some beautiful wedding messages that can brighten up your loved one’s heart and face! Dear friend, as you are starting a new innings of your life, my good wishes are always with you. Wishing you a happy married life! You make the most amazing couple. Thank you for sharing your lovely wedding day. Through the storms of life, may your love for one another be steadfast and strong. Wishing you joy and happiness on your wedding day.